China’s 2017 plastic waste import ban has seen notable quantities of the world’s discarded material being redirected to elsewhere in Asia, but changes are afoot. The message from countries in Southeast Asia, at least, is you’d better consider shipping it elsewhere. Better still, why not handle the recycling of plastic waste at home? In the most recent development, Thailand’s Department of Industrial Works (DIW) has issued an order prohibiting imports of plastic and electronic waste amidst a surge in imports resulting from China’s ban. Thailand imported around 310,000 tonnes of plastic waste in the first five months of 2018, according to Thai customs statistics. This compares with a paltry 43,000-odd tonnes for the same period in 2017. Year-to-date imports are already at double the level for the whole of 2017, when Thailand imported around 153,000 tonnes of plastic waste. The DIW Director-General, Mongkol Pruekwatana, said his department will now inspect the 2,240 recycling factories across the country after having issued a prohibition order on further imports of electronic and plastic waste effective immediately. The DIW is also working with the Customs Department to block any further imports and will be proposing to Thailand’s Ministry of Industry to issue an indefinite ban on these imports in the near future. effectively deprived the sector of around half of its raw material requirements. Many companies have shut down, while others have laid off significant proportions of their staff. Those that had relatively strong finances, meanwhile, have invested in overseas operations, primarily in Southeast Asia. According to the China Scrap Plastic Association (CSPA), more than 1,000 of its members, representing a third of China’s total, have invested around RMB10 billion (US$1.5 billion) to relocate around four million tonnes of annual recycling capacity to the region. But these are now being hit by the new restrictions being implemented in Southeast Asia. Vietnam issued a temporary import ban in May this year triggered by a build-up of unclaimed containers carrying plastic and paper waste at its main port in Ho Chi Minh City, according to a report by the Institute of Scrap Recycling Industries Inc. (Washington, DC). The port authority will review the situation in mid-October. For its part, Malaysia temporarily suspended new import permit applications in mid-May. Prior to the import ban, China imported around seven million tonnes of plastic waste annually. Deprived of this stream, efforts to process more domestic recycled plastic have reportedly been progressing slowly. Handling imports and domestically sourced waste material are reportedly two very different channels and it will take time for recyclers to adapt. Another key challenge facing the plastics recycling industry in Asia is lack of conversion capacity in Southeast Asia for recycled material. At present, Chinese recyclers are shipping back the majority of reprocessed pellets to China, hoping that customs officials will accept them as sufficiently clean and pure. China’s Environmental Protection Control Standards for Imported Solid Wastes as Raw Materials effectively sets a threshold of 0.5% contamination for imports of recycled plastic pellets. These shipments, however, have reportedly been facing delays because Chinese customs are under pressure to ensure not only that imported pellets meet this standard, but also that containers are not being used to smuggle illegal low-grade plastic waste into the country. The customs authority has reportedly initiated 134 crime probes involving 254,000 tonnes of smuggled scrap this year, including waste plastic and metal in recent times. 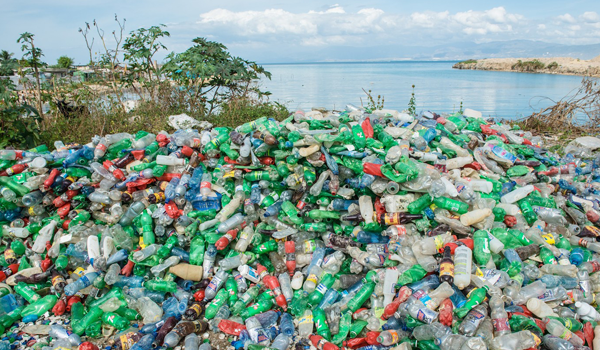 It is somewhat ironic that a developing economy in China, facing numerous environmental challenges of its own including polluted waterways and air, has provided the impetus for the global plastics industry to reconsider how it handles its waste. For too long, numerous developed economies have been happy to push their plastic waste problems onto emerging economies in Asia without worrying about developing sustainable plastic recycling strategies. The days for such actions would appear to be limited. No longer does any country want to import other countries’ problems. It is time for the developed world to step up to the plate.